For the first time since his emergence as a rising star, Con O'Callaghan is experiencing a proper off-season away from competitive Gaelic games. 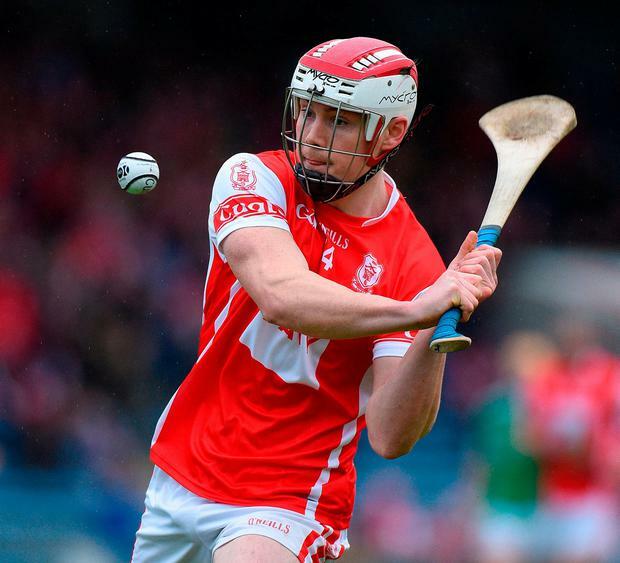 The year-round cycle of being a 'summer' footballer and 'winter' hurler with little interruption was broken earlier this year when Cuala were dethroned by Kilmacud Crokes as Dublin hurling champions after three successive title wins. It wouldn't have been O'Callaghan's choice of course but now that he has experienced it, he has grown to appreciate it. "The last couple of years have been long, but they've been incredibly enjoyable," reflected the 22-year-old sharpshooter. "We went on really enjoyable journeys in both football and hurling, so it's a special time in your life. "We're obviously out this year with Cuala and we'd prefer to be in it, but personally, it's nice to have a little break over Christmas; it's the first one in a while. "You can take everything in and you can do a bit more things socially and go away. It's nice to have that opportunity," said O'Callaghan, speaking on the PwC GAA/GPA All-Star tour to Philadelphia, having spent five days in Portugal with the Cuala team last month. With the break, the best of O'Callaghan the Dublin footballer may be yet to come once he has the experience of a first full league campaign behind him. It's not that his body of work to date has been too bad but there was a sense that 2018 didn't reach the personal heights of 2017. "I wouldn't say (it was more) difficult. It was a hugely enjoyable year both personally and as part of the team. In 2017 I'd a really good year. In 2018 I took a lot of chances. Some things came off and they don't always come off but I really enjoyed the year. I was happy with it overall." There was a noticeable improvement from the All-Ireland semi-final on, however. "I got a break for the Roscommon ('Super 8s') match because we were already through and top of the group and it didn't make a difference. That's what you want - to peak at the end of the season, but I still really enjoyed the Leinster campaign." His Cuala manager Mattie Kenny has succeeded Pat Gilroy to move into the Dublin hot-seat, replaced by former Tipperary hurler and minor coach William Maher, but O'Callaghan doesn't see his old boss being able to turn his head towards the county's hurling team. "I haven't considered it. I'm really enjoying football and particularly with the club so successful, it's not that I'd no desire to play with the hurlers but I'd had some success in hurling. "In the next couple of years I can't say that I won't (hurl for Dublin) but I see myself playing football - hurling with the club but football for Dublin." "My Da (Maurice) played football and was a big influence on me. He wouldn't have told me what to do and Cian (brother) obviously went with the hurling but I always preferred football and was a better footballer underage. "Obviously, the success of the Dublin footballers was something that inspired you and something you wanted to be part of as well. "There's a lot of talented lads there (in the Dublin dressing-room) and loads who have played hurling. We're more successful in football and that's probably drawn them in as well as lads' personal preferences. That's probably the main reason." The prospect of a first GAA senior inter-county five-in-a-row will underpin much of 2019 and O'Callaghan appreciates such talk is unavoidable. But staying off social media is one protective measure he intends to retain. "Everyone will be trying to stop you - that's the reality of it. We try to keep it within ourselves and stay off social media. We try to stay together as a group, particularly when the games are getting big and there are lots of people talking from outside. "It's a personal thing. I'm not on any of the platforms. Some lads enjoy it, others don't. If it's part of your life and that's what you do I don't think it has a massive effect but if you think it does affect you, it's better to stay away."